Aloe Vera, often referred to as nature’s miracle plant, has been used for thousands of years to soothe, soften, and repair skin. 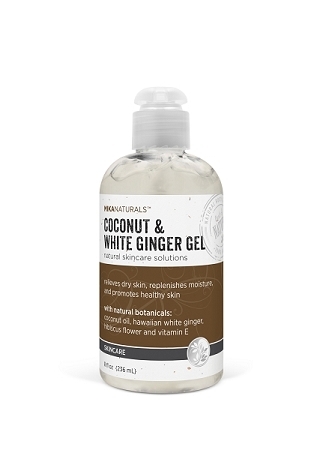 Natural and hydrating Cucumber, Chamomile and Camu Camu extracts calm and nourish rough, dry, irritated skin. Jackfruit extract is a natural source of Vitamin C and phytonutrients and helps prevent UV-induced damage while promoting healthy, smooth skin. Antioxidant Vitamins A and E protect skin, fight against free radical damage, and restore skin to a more healthy condition. Easily-absorbed formula is ideal for sunburns, windburns, insect bites, razor burns, rashes and other skin conditions. 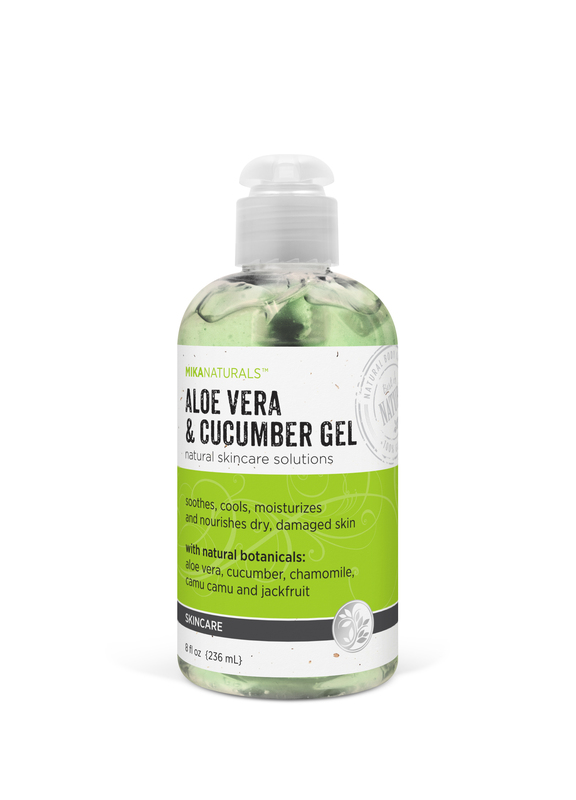 I have been using this Aloe Vera & Cucumber gel for awhile now. It feels so smooth on my skin, not sticky at all. It works very well for my dry skin. I love this product a lot. I strongly recommend this product for skincare. Received this gel as a gift and it is truly amazing! Makes my skin softer and has helped even out the skin tone on my face. I use it by itself or sometimes mix it with my regular face cream for extra hydration at night before I go to bed. Went to use the gel the other night and found out that my daughter had taken it and has been using it on her face as well (it's helped clear up her acne)! We'll definitely be buying more and can't wait to try the other gels as well. Purified Water (Aqua), Kosher Vegetable Glycerin†, Aloe Vera (Aloe Barbadensis) Leaf Juice*, Cucumber (Cucumis Sativus) Fruit*, Camu Camu (Myrciaria Dubia) Fruit*, Jackfruit (Artocarpus Heterophyllus) Seed*, Chamomile (Chamomilla Recutita Matricia) Flower*, Carbomer, Retinyl Palmitate (Vitamin A), Tocopherol Acetate (Vitamin E), Ginseng (Panax Ginseng) Root*, Allantoin†, Phenoxyethanol. Warning: For external use only. Discontinue use if redness or irritation occurs. Avoid contact with eyes. Keep out of reach of children. Mika Concepts is more than just a skin care company – we are a skin caring company. As the manufacturer and distributor of natural and organic skin care, hair care, and health care products, each of our products is blended with the overall health of your skin and body in mind. Copyright © Mika Concepts I USA I All Rights Reserved.